GRF publishes two unique magazines yearly that provide important information on community services and facilities, schedules and write-ups on movies, music and theater shows and candid interviews with remarkable LW residents. Magazines like these, capture focused attention; their content is targeted, relevent and credible. Studies show that readers value magazine advertising, reading it almost as much as the editorial and that these ads drive readers to action, including web searches and visits. The Navigator and Spotlight on Entertainment magazines offer a variety of advertising options that ensure your business gets maximum exposure for the best price. 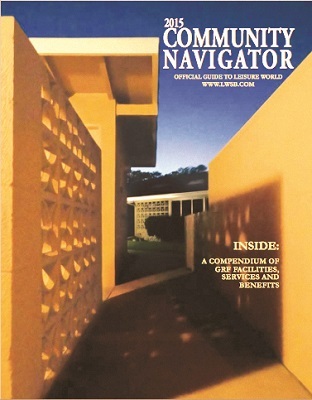 The survival guide that makes life easier for Leisure World residents, the Navigator is filled with vital information such as: policies, procedures and service directories. It also provides direction on community governance and benefits. The Navigator is distributed to every resident and new move-ins throughout the year. This is an exciting magazine that showcases the music, shows, movies and special events that take place in Leisure World throughout the year. It includes performer bios and a comprehensive calendar. The Spotlight On Entertainment provides sponsorship opportunities, including in person presentations. 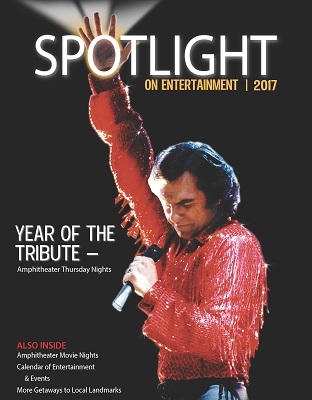 Spotlight is published yearly and delivered to every front door.